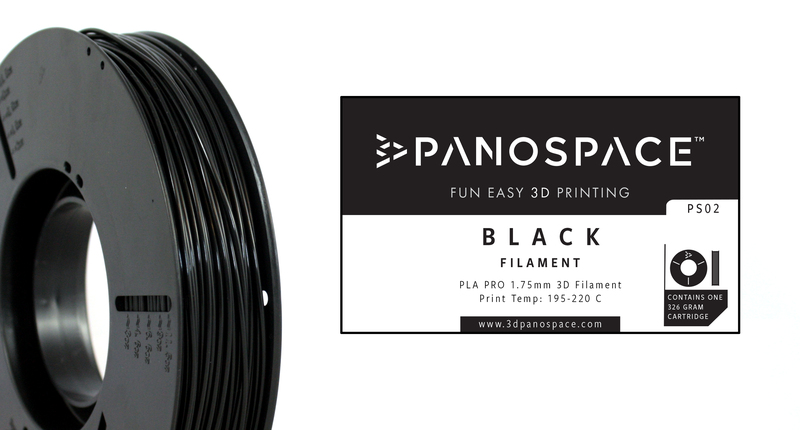 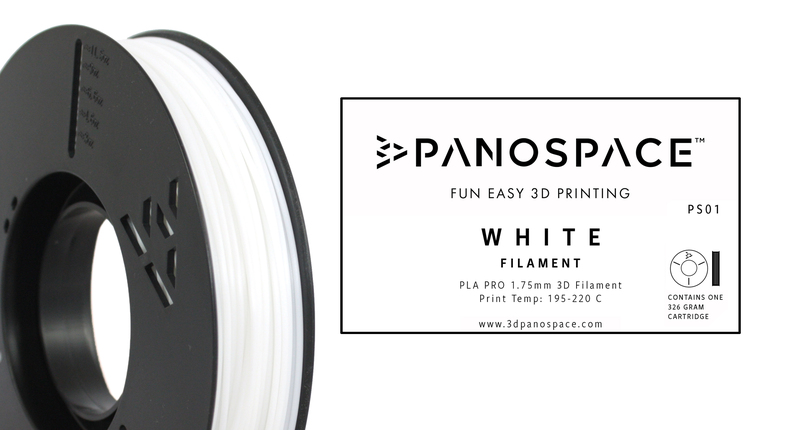 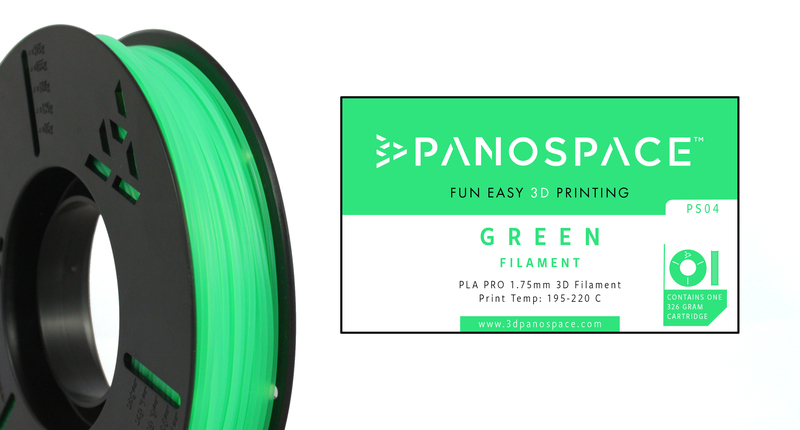 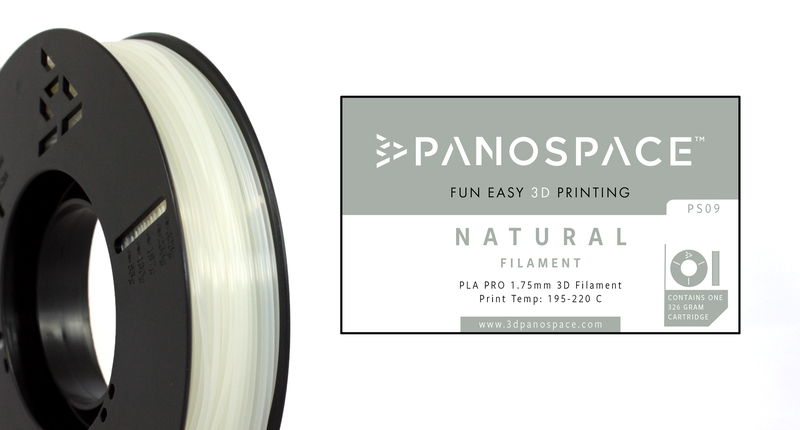 Panospace uses the common PLA plastic filament. 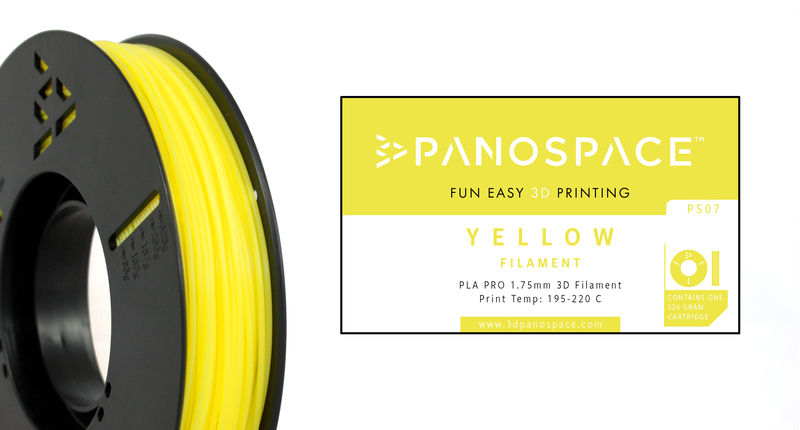 Changing the filament is very easy. You just press “unload filament roll” on the touch screen and wait a couple of seconds, change the filament and then press “load your next”. 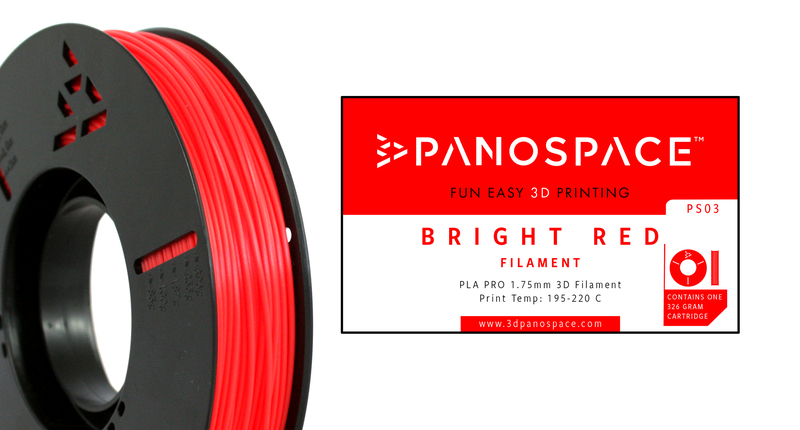 Our filament rolls weigh 326 g each and come in a variation of ten bright colors.